It’s that time of year when it seems like most of us want something warm and comforting for breakfast (well, and the other meals too, right?). I love making baked oatmeal year-round, but it seems like I make it a lot more during the fall/winter seasons. I absolutely adore making this with apples and cranberries during this time of year, but this is another very delicious option. The berries and banana add a perfect sweetness and the touch of cinnamon and maple syrup make this so good it’s hard to imagine that it’s actually good for you! For whatever reason, baked oatmeal is magic. 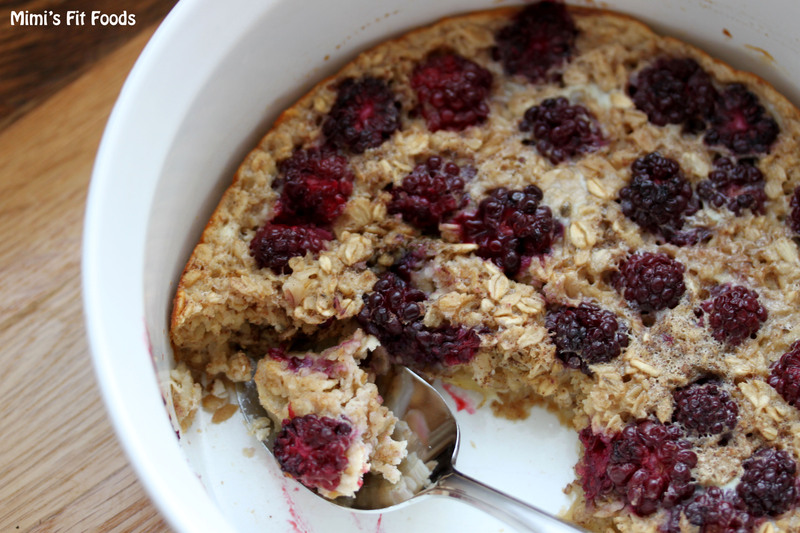 People who don’t like to eat oatmeal, actually love these versions of baked oatmeal. You’ll have to let me know if you end up making a believer out of you or your loved ones! Preheat the oven to 375 degrees. Lightly grease a 2-quart baking dish. In a medium bowl, combine the rolled oats, baking powder, cinnamon, and salt. Stir with a fork to combine. In a liquid measuring cup, combine the maple syrup, milk, egg, and vanilla. Spread the sliced bananas in a single layer over the bottom of the baking dish. Sprinkle the dry oat mixture over the fruit in an even layer. Pour the liquid ingredients evenly over the oats (I like to take the back of a fork and lightly press any of the dry oats into the liquid mixture to ensure every oat is wet). Sprinkle the berries over the top. Bake for 35-40 minutes, until the top is browned and the oats have set. Let cool 10 minutes before serving.